Instant Messaging (IM) marketing supports large Southeast Asia customer base. Hypefolio announced today that Tupperware is using it’s app to market a wide range of household goods to customers in Southeast Asia. Designed around a scalable server platform, the app enables marketer to create rich, interactive mobile content without specific coding. “We use Hypefolio because it allows us to quickly create interactive and mobile-optimized leaflets, and the product performs well on the Whatsapp channel," said Edward Lim, Digital Marketing Manager of Tupperware Brands, Asia Pacific. Designed for personal or business use, Hypefolio allows users full access to a powerful suite of creativity tools with the most advanced UI/UX Internet messaging. 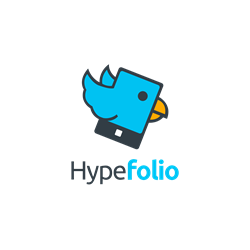 About Hypefolio: Founded in 2015, Hypefolio is based in Sunnyvale, CA and develops powerful messaging apps for business or individual use. Its cloud-based servers can support and push an unlimited variety of media to a messaging templates that is the most versatile on the market. Hypefolio and its parent company Eqxiu currently have over 100 million users worldwide.